The year 2016 started on a positive note. After four years of misery, the Kenya football fraternity finally got rid of Sam Nyamweya who had been FKF chairman for four years. Through incompetence and corruption, Nyamweya had caused misery to Kenya football fans culminating in a series of poor results and humiliating defeats. Nyamweya against all odds was dropped out of the race when he realized that he was out of contention. He joined former Kenya international Sammy Sholei who had dropped out earlier. This left Ambrose Rachier, the Gor Mahia chairman and Nick Mwendwa who ran a well organized campaign to beat Rachier by garnering 65% of the vote to Rachier’s 35%. There was now a new dawn in Kenya football. One of Mwendwa’s first actions was to hire a new coach for Harambee stars. Out went previous coach Bobby Williamson whom Mwendwa indicated was too expensive. Instead Stan Okumbi was hired. Okumbi had been coaching second tier side Kariobangi Sharks. There was a lot of hue and cry when Okumbi was hired due to his lack of experience and lack of accomplishments. Okumbi’s first assignment was to play Guinea Bissau home and away. It started poorly. Two Kariobangi Sharks players were included in the team: Pattilah Omoto and Ovella Ochieng. Questions were raised as to why the duo were included in the team. To most it seemed a ploy by Mwendwa was trying to promote his own players so that he could potentially sell them to an overseas club. The combination of poor fielding and poor preparations took its tool. Kenya lost 0-1 to Guinea Bissau both home and away thus ending their hopes of qualifying for AFCON 2017. Kenya did recover to put on a better show in their last two games. With better preparations, Kenya beat Congo-Brazzaville 2-1 at Kasarani with goals from Belgium based Ayub Timbe and fast rising Mathare United midfielder Eric Johana who neatly looped the ball past the advancing Congo keeper. This match also saw the debut of Kenyan born Spaniard Ismail Gonzalez who opted to play for Kenya. In the final qualifier, Kenya came within a whisker of beating Zambia in Lusaka before conceding a late goal. The match ended 1-1. Kenya placed last in their group with 5 points. Okumbi was now holding an 8 match unbeaten run that saw Kenya rise to position number 89 in the FIFA ranking. Kenya had started the year 2016 in position number 126. After a stellar 2015 season that saw him score 38 goals, Michael Olunga attended trials in Sweden with top tier side IF Djugarden. The trials were succesful. 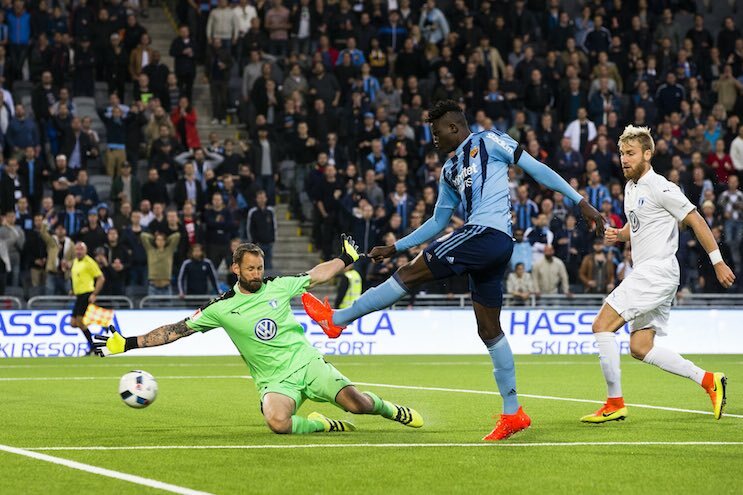 And despite a slow start, Olunga put on a stellar display that saw him score 12 goals in the Swedish domestic league. He finished as runner up in the new comer of the year vote. The Kenyan trio of Jesse Were, David Owino and Anthony Akumu played stellar roles for Zesco United of Zambia that enabled the Zambian side to reach the semi-finals of the 2016 Africa champions league before narrowly losing to eventual winners Mamelodi Sundowns. Both were feted by the Zambian club: Owino received the Fans and Chairmans Award while Were took home the Golden Boot award. Were, who joined the club from Tusker early this year, scored 19 competitive goals, 15 in the domestic league and 4 in the Champions league. Victor Wanyama continued his rise in world football: In June 2016, Premier League club Tottenham Hotspur signed Wanyama,on a five-year contract for a fee of £11 million. Wanyama had previously worked with Tottenham manager Mauricio Pochettino who brought him to Southampton in July 2013. Wanyama scored his first goal for the club on his home debut against Crystal Palace, in the 82nd minute of a 1–0 league win for Spurs. Tusker boasting veteran players like Allan Wanga and Noah Wafula, reclaimed the Kenya Premier League title from Gor Mahia who had won three seasons in a row. Gor Mahia were a close second and lost largely due to having been deducted three points for hooliganism. Traditional giants AFC Leopards had a dismal season, finishing 13th. 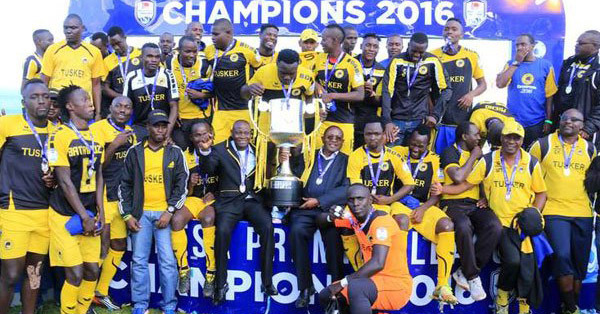 Tusker also won the GoTV shield beating Ulinzi in the final. Gor Mahia’s squabbles with coach Frank Nuttall culminated in the club losing to Madagascan side CNaPS 1-3 on aggregate in the opening round of the Africa champions league. But even more importantly it caused the club to start the league on a poor note with three straight draws which put paid to its efforts to retain the league title. Bandari FC, coached by the accomplished Twahir Muhiddin and boasting former internationals like Dan Sserunkuma, Edwin Lavatsa, Musa Mudde, Anthony Kimani, Wilson Obungu and Shaban Kenga, were bundled out by St Eloi Lupopo of Congo DRC, losing 0-2 away and drawing 1-1 at home. Their goal in Mombasa was scored by Lavatsa from the penalty spot. Muhoroni Youth won the KPL top 8 tournament beating Sofapaka, Ulinzi Stars and Gor Mahia. And they did this while suffering a series of player strikes and go slows as the players complained about poor treatment by the club’s top brass. Most notably, lead striker Wycliffe Ochomo who had been the league’s leading scorer, quit the team midway through the season. Sofapaka, a team that had been a giant in Kenyan football for almost a decade and even won the league in 2009, were almost relegated. They survived the axe only the last day of the league when they beat Thika United 5-1 while Ushuru lost to Posta Rangers. In the second tier league, Nzoia United and Kariobangi Sharks finished first and second respectively to earn promotion to the Kenya Premier League. John Makwatta of Ulinzi was the KPL top scorer in 2016 with 15 goals. Wycliffe Ochomo finished second with 12 and would likely have been top scorer had he not quit playing for Muhoroni midway through the season. Midfield dynamo Kenneth Muguna of Western Stima was voted Kenya player of the year. 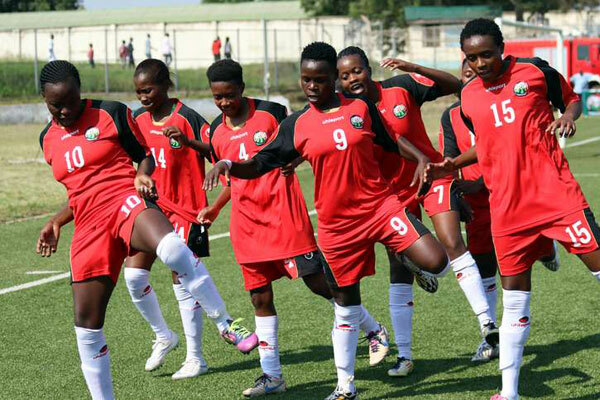 After years in the doldrums, the Kenya women’s national team Harambee Starlets finally captured the imagination of Kenya football fans. They made history by qualifying for the Women’s Africa Nations cup after beating Algeria in the final qualifier. The first leg ended 2-2 in Algiers. Kenya’s goals came from an own goal and from Mwanahalima Adam, a school girl at St John’s Kaloleni. The return leg at Kasarani was dramatic. Kenya looked set to be eliminated as the Algerians led 1-0 late in the game. A late goal by substitute Cheris Avilia Salano secured a 1-1 draw for Kenya who went through on aggregate. In August, Starlets were invited to play in the COTIF tournament in Spain. They started well, beating Portuguese side Benfica 3-0 with an Essie Akida hat trick. They then beat Spanish side Espanyol 3-1 with goals from Essie Akida (2) and Neddy Atieno. In teh semis Kenya lost 0-2 to Real Betis before losing to Espanyol and finishing fourth. Essie Akidwa was the top scorer in the tournament. In September, the Starlets played in the CECAFA women’s challenge cup. They won all their group stage matches comfortably, beating Uganda and Burundi 4-0 and dispatching Zanzibar 11-0. They then beat Ethiopia 3-2 in the semis, earning revenge against a team that had beaten Kenya 5-0 in a friendly in 2012. In the finals Kenya lost 1-2 to Tanzania amid complaints that the referee was biased in favour of Tanzania. 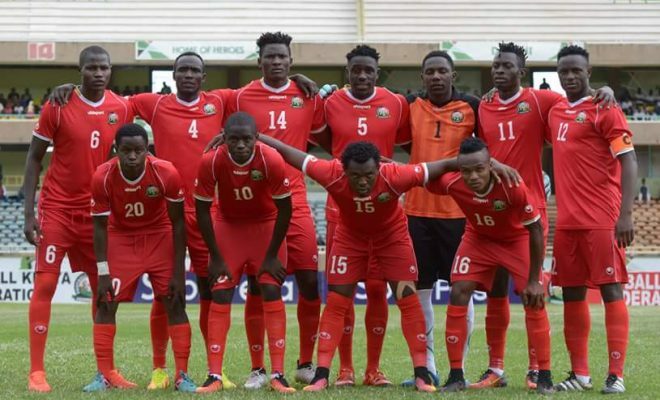 Kenya prepared for the Africa nations cup by beating Egypt in a friendly 1-0 thanks to a goal by Corazone Awino Aquino. Kenya then lost 1-2 to the muscular Cameroonians at Kasarani 1-2. With adequate preparations which are a rarity in Kenya, the Starlets then went to Morocco for their Africa cup campaign. They were without stalwarts Mwanahalima Adam who was sitting her KCSE exams and Neddy Atieno who was unavailable, having joined the Kenya Defence Forces. They found the Africa cup a bridge too far. They lost 1-3 to Ghana, 1-3 to Morocco before going down 0-4 to Nigeria. Starlets coach David Ouma attributed the poor performance to lack of mental strength among the players. It was however a valuable experience for Kenya who are only now starting to emerge from the doldrums. In November of 2016, betting company Sportpesa announced that they would sponsor the national women’s league, an act that will only serve to enhance Kenya’s standards further. This entry was posted in Kenya Football articles and profiles, Kenya Sports news and commentary and tagged Kenya football yearly reviews. Bookmark the permalink.